Another quick photo from yesterday. After visiting the Falkirk Wheel, we took to opportunity to stop in South Queensferry and get a few shots of the Forth Rail Bridge. 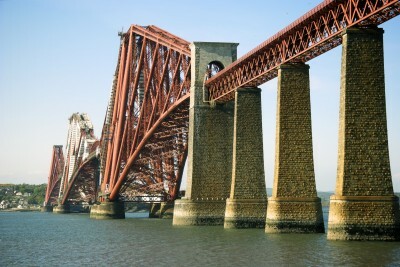 A little history lesson for those interested: The Forth Rail Bridge opened in 1890 after taking just 7 years to build. It is thought that over 450 workers were injured and 98 lost their lives during construction. The Bridge is a cantilever railway bridge which is 2.5 km long and 46 metres above high tide. There are 6.5 million rivets holding it all together!